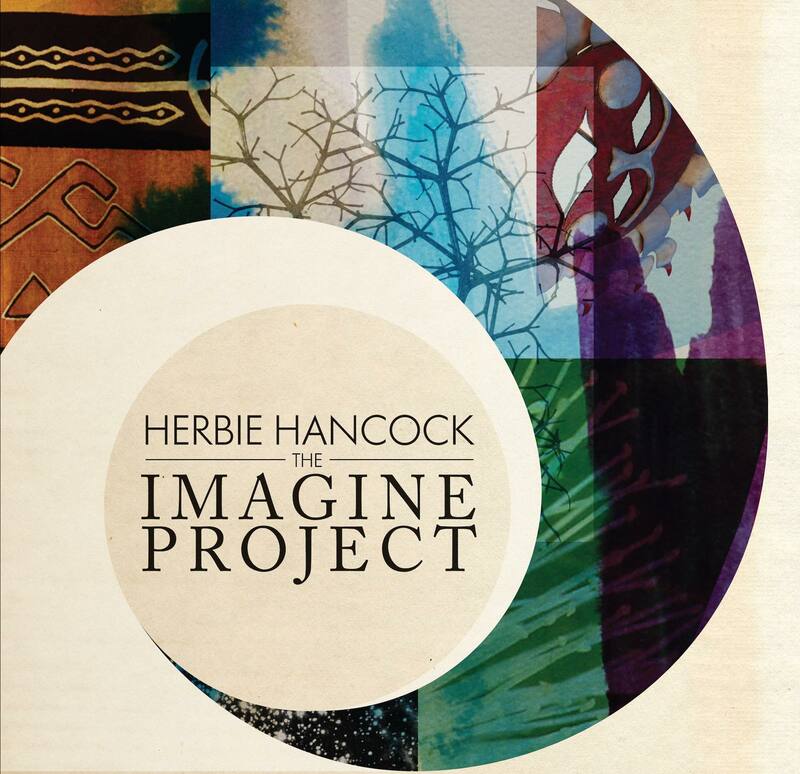 “Herbie Hancock’s star-studded The Imagine Project was several years in the making, recorded in seven countries with musicians from all over the globe. Hancock’s band with producer/bassist Larry Klein, drummer Vinnie Colaiuta, percussionist Alex Acuña, and guitarist Lionel Loueke is a common denominator. Much of what’s here is interpretations of well-known pop, folk, and soul songs. There’s a gorgeous reading of Baden Powell’s “Tempo de Amore,” thanks to Lucas Martins’ bassline and Céu’s singing. “Space Captain” by the Derek Trucks-Susan Tedeschi Band — with Hancock and Colaiuta — brings out a much-needed soulful grit to Tedeschi’s vocals, gospelized four-party harmony, and Trucks’ tough slide playing. Bob Dylan’s “The Times They Are a Changin’,” with Lisa Hannigan’s raw, emotive vocals, is underscored by interplay between the Chieftains, Toumani Diabaté’s kora, and Hancock’s piano. The tune moves past its American folk revival beginnings to reflect a global sentiment. “Tamatant Tilay/Exodus” pairs the nomad Malian guitar band Tinariwen’s song with Bob Marley’s classic. K’naan, Tinariwen, and three members of Los Lobos are all featured on vocals. Tinariwen dominates with Hancock’s funky clavinet pushing against their snaky wall of guitars and ululating singing; it’s the hippest track here. “This album was recorded in various countries throughout the world, in multiple languages, and with various international artists in an effort to show the power and beauty of global collaboration as a golden path to peace. The Imagine Project won two Grammy Awards in 2010: ‘Best Pop Collaboration With Vocals’ and ‘Best Improvised Jazz Solo – A Change Is Gonna Come’.